Toyota Motor Corporation (TMC) will launch the "86"1 compact rear-wheel-drive sports car, which was exhibited at the 42nd Tokyo Motor Show 2011 as a production prototype, on 6th April throughout Japan. In step with the launch of the 86, TMC will open "Area 86"2 specialty shops, where car enthusiasts can get together to talk about cars and where shop specialists can support car-owner activities aimed at helping give sports-car culture a local 'hang-out'. The 86 was developed as a unique rear-wheel-drive vehicle, with intuitive handling, that embodies the essence of driving enjoyment and features the world's first horizontally opposed D-4S (direct injection four-stroke petrol fuelled) engine installed in the front mid-ship position. Adoption of a package consisting of the world's only horizontally opposed engine coupled to a low-centre-of-gravity (460 mm) and a rear-wheel-drive system offers fun driving at a level unprecedented in earlier sports cars. The newly developed horizontally opposed D-4S engine provides a maximum output of 200 horsepower (PS), and the synergistic effect of an aerodynamically superior form and light weight (from 1,190 kg). The line-up includes the standard G grade; the luxury GT grade, which includes projector-type discharge headlights, 17-inch aluminium wheels, a leather-wrapped steering wheel, shift knob and parking brake lever, and an aluminium pedal; the GT "Limited" grade, which adds seat coverings made of leather and Alcantara®3 (and heated driver and front-passenger seats), and a rear spoiler; as well as the RC grade (base model), which is suitably customisable for serving as a base vehicle for racing. Seven body colours to accentuate the elegantly aesthetic beauty of the vehicle and a choice of either black or red for the interior are available. The Toyota 86, with numerous dealer-installed interior and exterior customisation and tuning parts, carries on the spirit of the AE86 in its aim to be a car that evolves with its owner. In step with the launch of the Toyota 86 sports car, TMC will set up some 283 Area 86 'shops' at dealer locations throughout Japan, where specialists will provide comprehensive, expert advice and services to car enthusiasts. Designed as a place where sports car enthusiasts can gather, Area 86 shops will exhibit the 86, provide it for test-driving, and distribute information related to sports cars, with the aim of becoming places where people can be immersed in the fun of cars and driving. In collaboration with Area 86 shops, TMC will help owners fully experience their 86s by providing various materials on 86 mountain passes in Japan deemed most suitable for enjoyable driving of the Toyota 86. 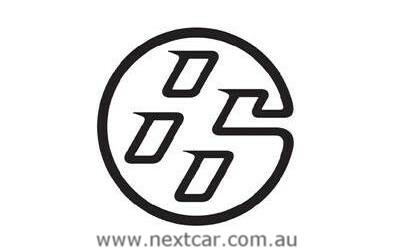 TMC also plans to undertake activities together with sports car enthusiasts to aid in further building sports car culture over the long term, such producing merchandise featuring the 86 logo in collaboration with companies from other industries and holding an 86-only race (targeted for 2013). TMC has combined the numerals "8" and "6" to provide a symbolic "intuitive handling" 86 monogram, and will use the monogram on 86-specific merchandise and at promotional events. Monthly sales target for Japan: 1,000 units. 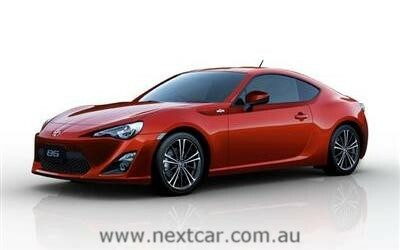 Assembly Plant: Main Plant, Gunma Manufacturing Division, Fuji Heavy Industries Ltd.
Stay tuned to Next Car for further details of the Toyota 86 which is planned for an Australian release later in the year. 1Named hoping it will become cherished by people in the way people cherished the AE86 model Corolla Levin/Sprinter Trueno (1983-1987). 2Named hoping the shops will develop into places where all people interested in cars, chiefly but not only the 86, can gather. 3Alcantara is a brand of interior covering and a registered trademark of Alcantara SpA of Italy.